The resort's "in-house guests only" AL FRESCO dining is beyond comparison and is envied by the whole town. Literally only a couple steps away to the water, dining has never been this grand. Evenings are magical with colourful lit trees and starry skies, creating a romantic and a super cozy dine in experience. 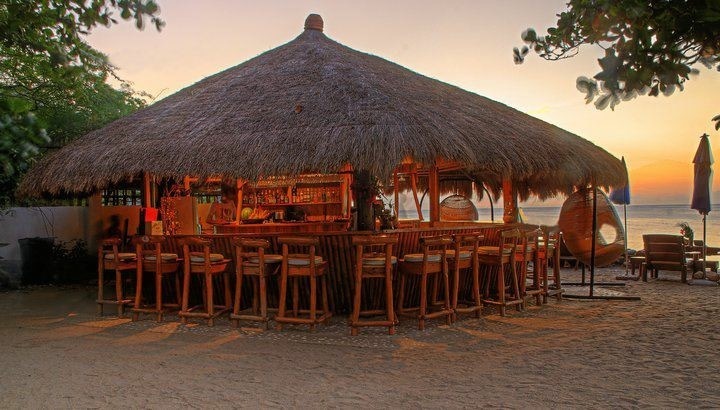 The resort's tiki bar, also a stone's throw away from the sea is well designed and truly loved by our guests. Hang out, chill out, meet other people while enjoying variety of cocktails, wines and spirits. 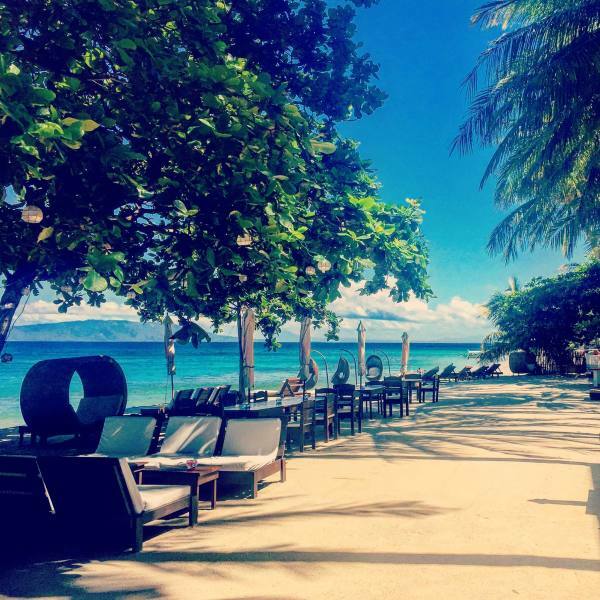 You'll only have great time and good fun around our beach bar. not staying with us, the Sunset Terrace, open to in-house guests and non-guests, it's view to the sea is as generous as our food servings.